Home Off Beat	Chrome microphone tattoo: Music is in the air! 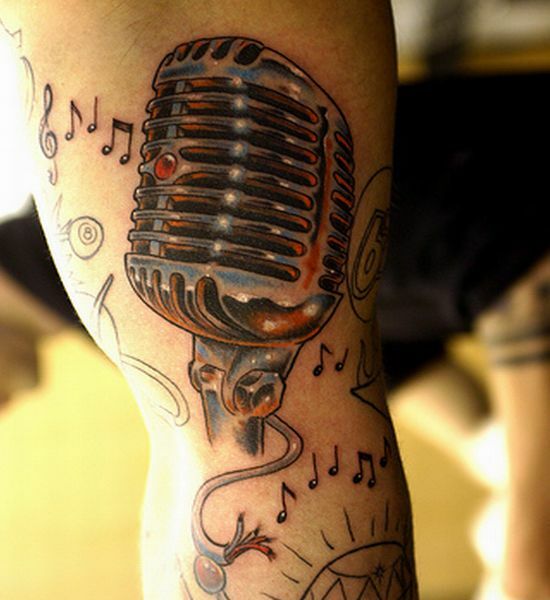 Chrome microphone tattoo: Music is in the air! Musical tattoos are certainly adored by music lovers. Steal a look at the tattoo pictured above. Itâs a microphone in chrome tattoo! If youâre the one who loves music and tattoos too, youâll simply love this music inspired tat. Donât youâll think that this musical tattoo is conveying some message? If you ask me this question I would say yes. Music is in the air! Ainât it? ← Geeky Ms. Pacman Head Tattoo-Gamers go wild!